The brown bin is back! | The Bloxwich Telegraph – incorporating The Bloxidge Tallygraph and Walsall North News. Founded 2006. The brown bin is back! 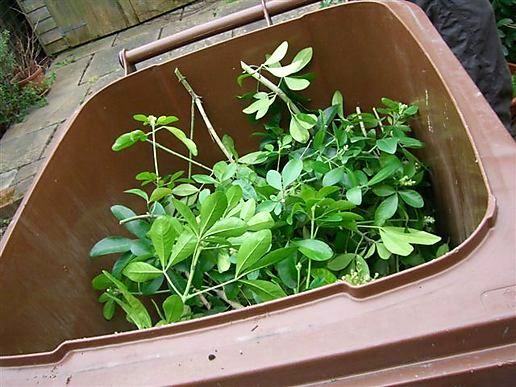 Garden waste collections from households across Walsall will restart at the end of this month. The brown bin service will resume in the week beginning Monday 30 March. Collection days vary between different parts of the borough and residents should check their calendar for details. Households will currently have a calendar which runs until the end of March. New calendars covering the period April 2015 to April 2016 will be delivered to households next month. Together with details of brown bin collections it also outlines when grey bins (general household waste) and green bins(recycling) are due to be emptied in the next year together with special arrangements for Christmas and New Year 2015/16. Alternatively residents can use the postcode checker available on the Walsall Council website to find details of their next scheduled collection. In line with previous years the brown bin service will run for eight months with a four month shutdown during the winter when traditionally people have less garden waste to dispose of. During the winter closedown, garden rubbish can also be taken to the Household Waste Recycling Centre’s at Fryers Road, Leamore, and Merchants Way, Aldridge or placed in the grey bin with the general household rubbish.